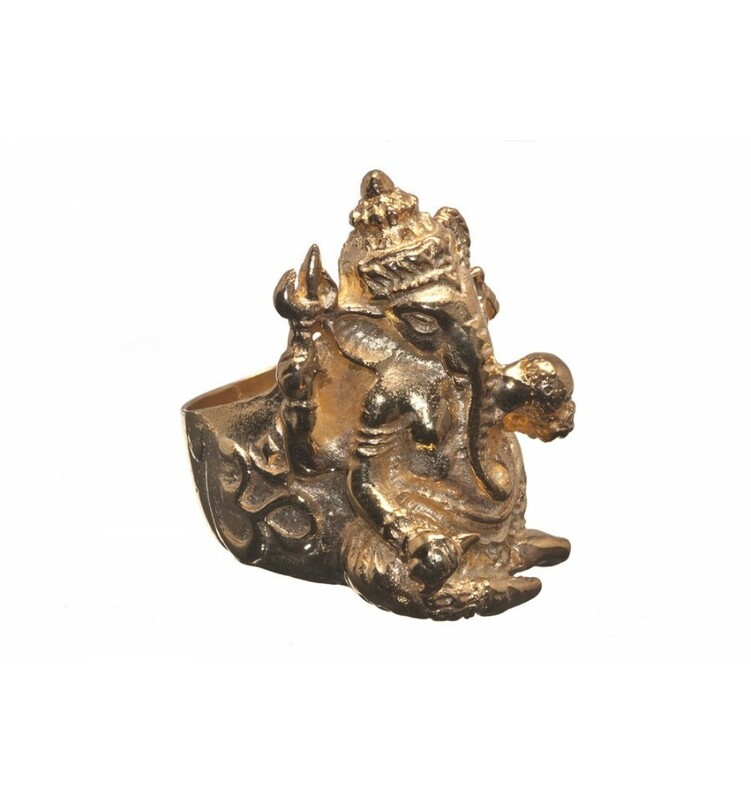 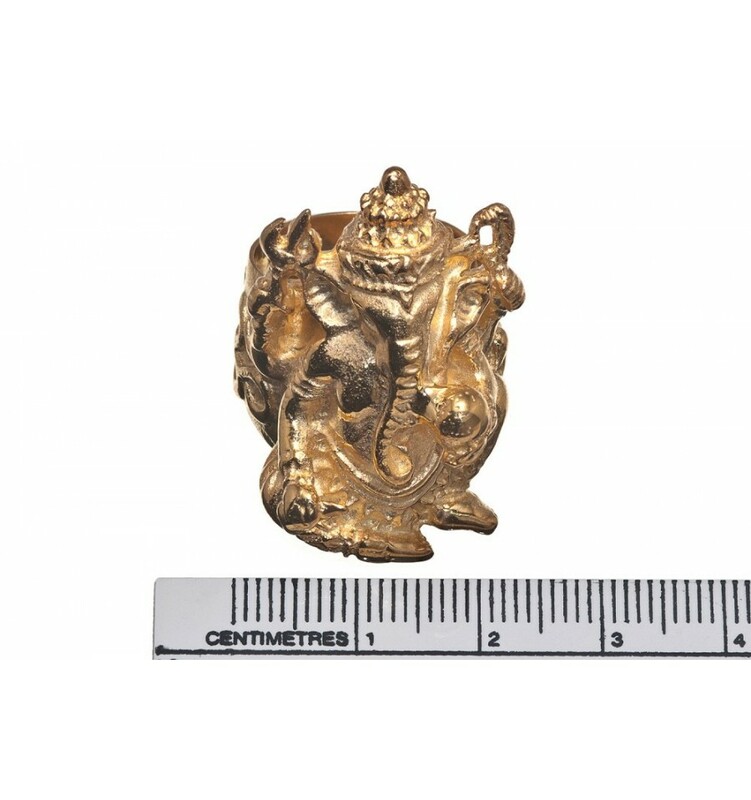 An exotic replica ring depicting Ganesh, an Indian God and a symbol of success. 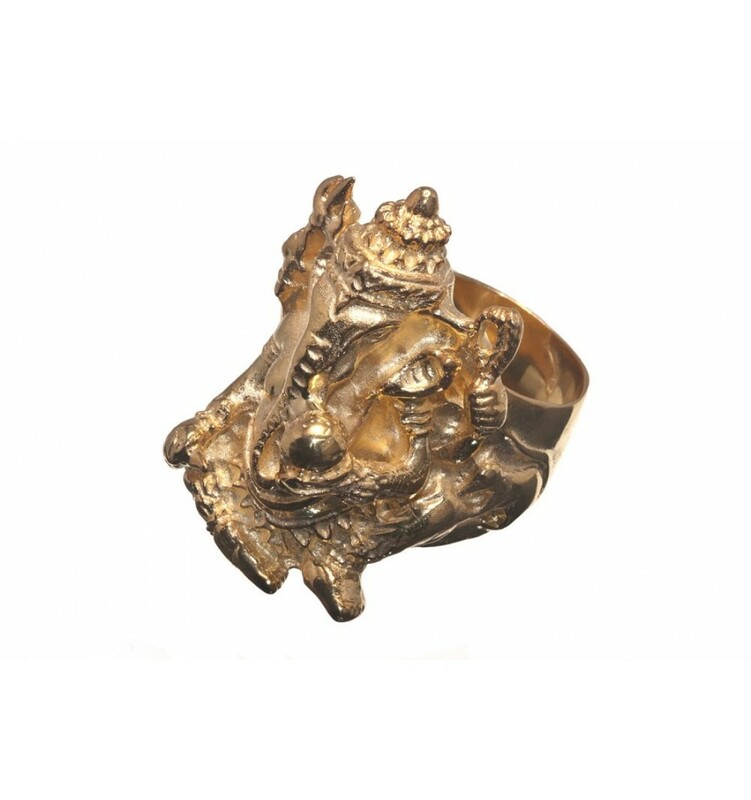 This solid gold plated sterling silver ring is a faithful copy of an ancient ring. 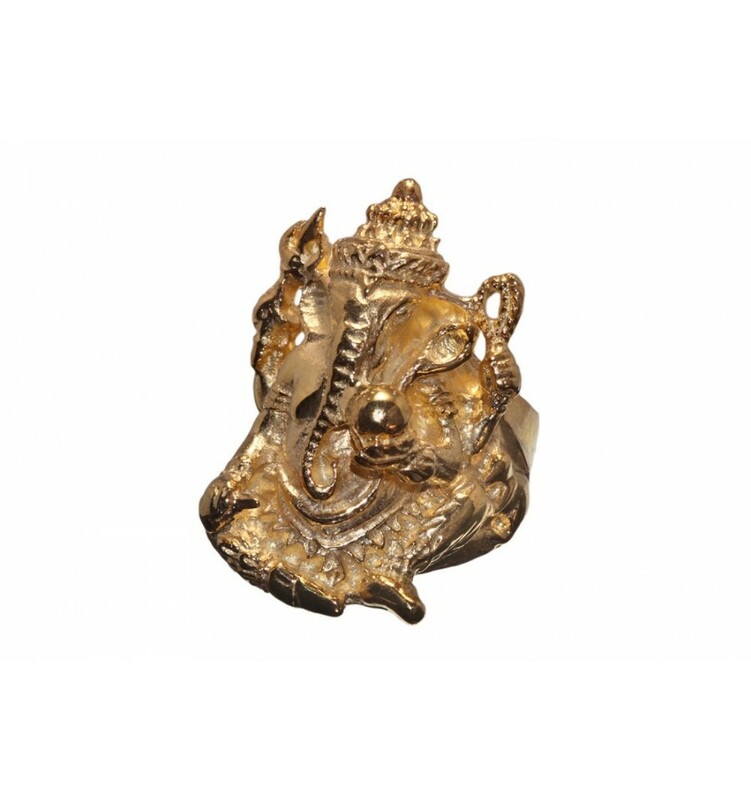 ganesh is the symbol of success and the centre of a yearly festival in Mumbai. 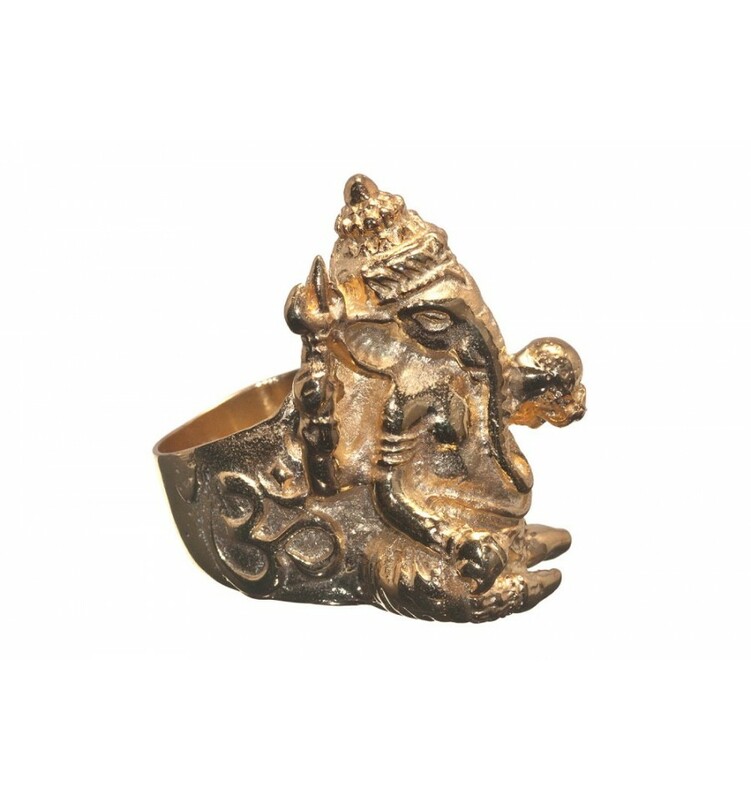 This is a substantial ring weighing in at 27 gm. 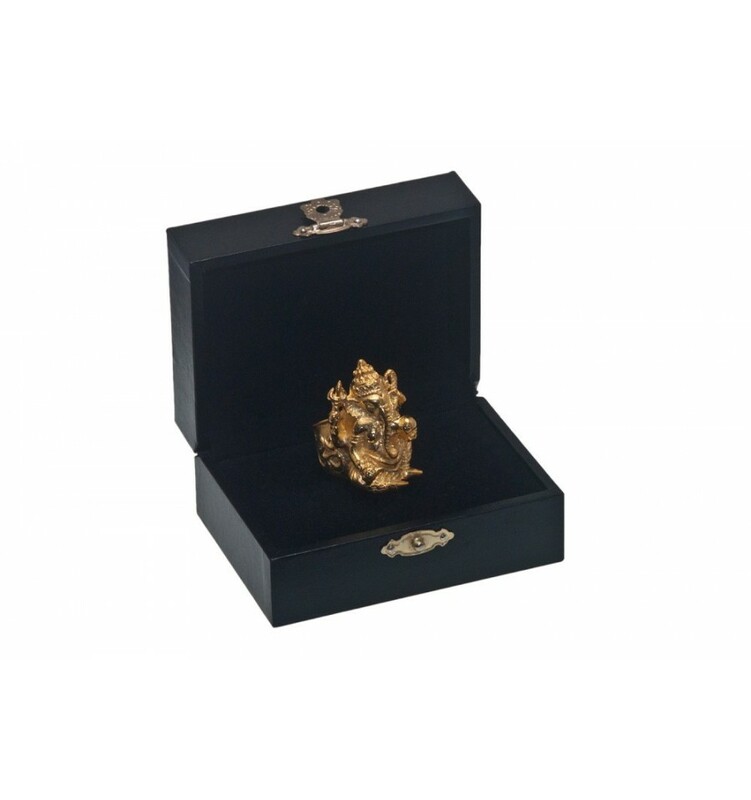 Gold plated solid sterling silver.